Drive left. Look right. Remember turn signals are on the right and wipers on the left. Refill with diesel, not gasoline. Life is a journey. Travel is one way to learn and gain an enlarged perspective, if we allow ourselves to be changed. While English is spoken in Australia and the size of the landmass is comparable to the continental United States, some aspects of the country seemed very different from the US. We were lucky to have friends and family to provide a vantage point on their adoptive country. Seeing a place with guidance from an insider is different than a tourist’s viewpoint. With limited time in a large area, we focused our visit on Australia’s east coast. Friends who are currently assigned to the embassy in Canberra hosted us initially. Since our arrival was three days later than expected, John and Katherine picked us up in Sydney and brought us to their home in Canberra, the capital. 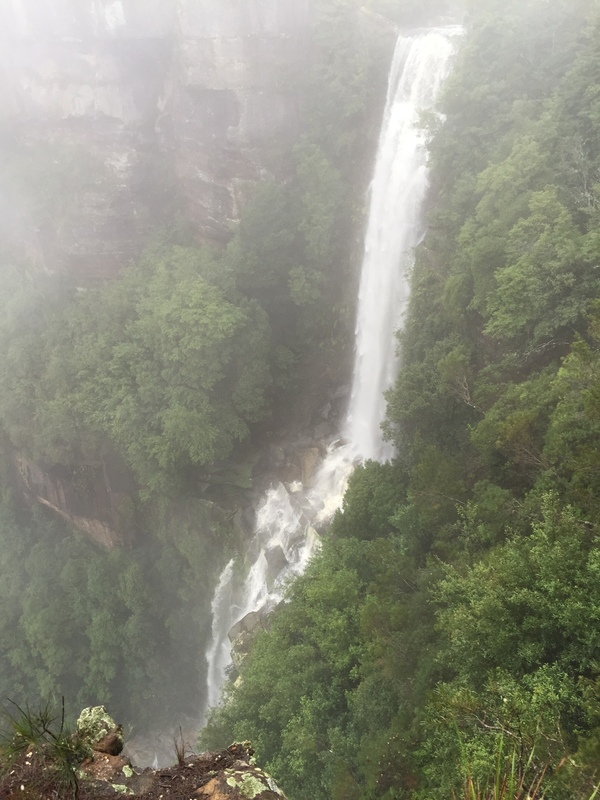 A stop along the way at Fitzroy and Twin Falls allowed us to stretch our legs and introduced us to some New South Wales waterfalls. With a few days touring from the Sapphire Coast at Narooma to the Blue Mountains, the landscape offered both Pacific Ocean waves and Grand Canyon hikes. A visit to the National Museum in Canberra helped orient us to the country’s history, then attending the Last Post ceremony at the War Memorial reminded us of Australia’s sacrifices during worldwide conflicts. 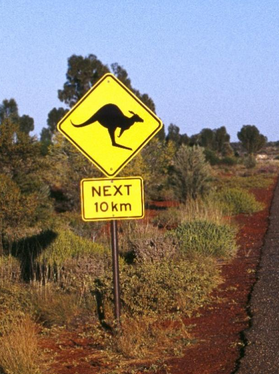 While we were captivated by iconic kangaroos, our friends and road signs reminded us that these animals have similar attributes as deer. We walked across the Sydney Harbour Bridge and visited the Opera House, but more learning came from questions. At a dinner party hosted by Sherri and Jeff in Sydney, we realized that Australians are very familiar with US history and policies. Did Robert E Lee have his citizenship restored? What was the rationale for not having universal health care for citizens? How many Americans would have enough familiarity with Australia to ask such probing questions? We traveled. We saw. We learned. May we bring a wider perspective home. A mind that is stretched by a new experience can never go back to its old dimensions.Oliver Wendell Holmes, Jr.